BHSEC Debate Team Takes Princeton! The BHSEC Debate Team had an amazing time at the Princeton Classic Debate tournament in early December! Eight BHSEC students attended, some from each grade. At the tournament, the topic was “Resolved: NCAA Student athletes ought to be recognized as employees under the Fair Labor Standards Act.” Debaters had to prepare both the “pro” and “con” sides of the resolution–arguing both in favor of it and against it in seven debate rounds over the course of two days. Between rounds, BHSEC students from both Queens and Manhattan had the opportunity to explore the Princeton campus and talk to students who had traveled to Princeton from all over the country. There were hundreds of students present, and over 200 teams entered in the Public Forum format, the format in which BHSEC debates. 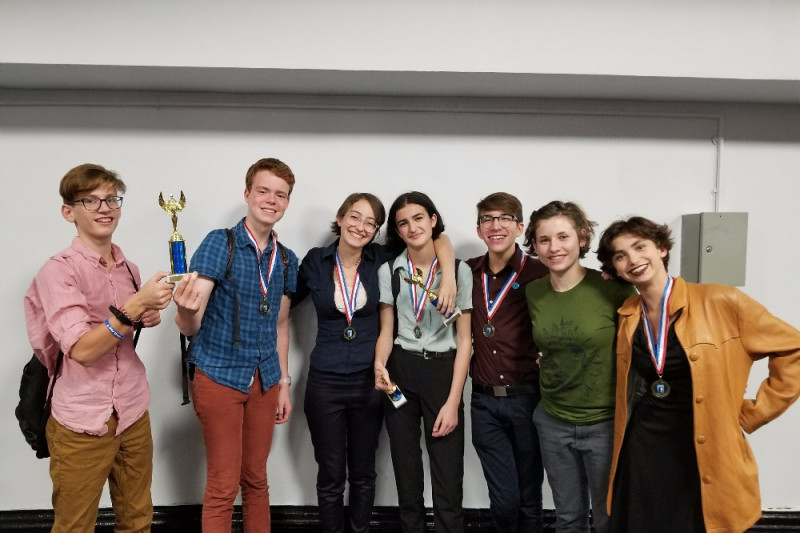 This was particularly amazing, given that all four BHSEC teams had 3 win/4 loss records by the end of the tournament, even teams who had never been to a national debate tournament before. Special thanks to Ms. Nolan, Ms. Augustine and Mr. Weber for chaperoning. Next BHSEC Takes On the 2017 Big Apple Half Marathon!